We signed our 8 year old up through (Spring Lake Park) Community Education. He enjoyed the program and felt comfortable right from the beginning. He received individual lessons until he was comfortable with basic moves, and then he joined the group. Participants ranged in age and experience and all took time to work with and encourage him in his learning. At the end of the first session he asked if I could see if any of his friends were interested in participating. Unfortunately, it didn't work out and when I told him, he said "that's okay all these people are my friends. It kind of feels like a big family". We have appreciated watching him advance in his skills and confidence. We are thankful for the positive mentoring he receives from his classmates and instructors. I met Master Robert Frankovich over 10 years ago, he taught me Aikido and I received a blue belt, at which time he recommended that I should start training in Haidong Gumdo as a gentler martial art since I was 63 at the time. I just earned my 3rd Degree Black belt in this discipline and I am 74 now. and plan to continue training at this organization. as Master F. is a scholar at Martial Arts and has a fantastic teaching method. A great community of people who are dedicated and welcoming to all skill levels. You'll feel like a part of a family that want you to succeed and will help you to achieve your goals. A fantastic Master who is completely approachable and will challenge you to push yourself and always try to got just that little bit further every time. I cannot recommend this wonderful organization highly enough! I've been doing martial arts for about 17 years now the last 4 at White Tiger M.A. 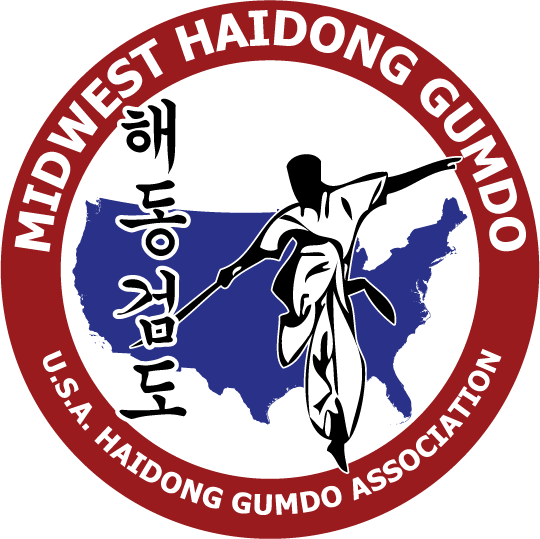 in both Haidong Gumdo and Taekwando. It's helped me keep control of balance control and weight issues. Master F is a first rate instructor, not just describing mechanics but encouraging us to explore the reason and function of every aspect of all the martial arts. I'll enjoy my journey here for years to come! Master Robert Frankovich is a man I randomly connected to on Facebook because he happened to grow up in the same small town that I did. A conversation with this random contact led to meeting in person and eventually to the formation of the haidong gumdo program at our school. Along the way, Master Frankovich has provided excellent instruction and leadership, but more importantly, he is a true teacher. He fills in the gaps that physical training doesn't cover. He not only brings philosophy and application to techniques, but he also reminds us that we aren't just here to learn how to sword fight. He helps his students see the deeper meanings of martial arts in his lessons and lectures. His ambition to learn is only matched by his desire to pass on the knowledge he has gained during his martial arts training. Stumbling upon him through Facebook has changed me not only in haidong gumdo, but his lectures help me fill in gaps in my tangsoodo training as well! I am grateful for being able to train under Master Frankovich, and hope that anyone with the opportunity can train with him as well. 1. Family-oriented, mixed age class. I love learning. To be able to learn from someone younger than me and for that young person to be able to teach adults is a fantastic experience. It builds confidence and self esteem in the young one, and humility and a respect for all in the older student. 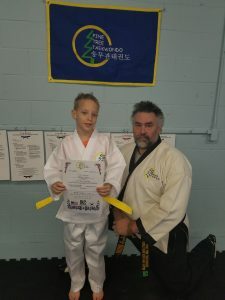 I train alongside my son and taekwondo has become an opportunity for us to grow together. 2. Opportunity for advancement at one's own pace. There is no shame in taking an extra long time to learn. The essentials are reviewed at nearly every class. White belts to black belts are all expected to regularly train and practice the basics, so even if a person is not advanced, he or she doesn't have to feel embarrassed because everyone practices the basics. 3. Individual attention. Master Frankovich is always available to answer a question or to guide one in the development of a form. He participates in the class, observes, and constructively critiques his students. The environment is positive. I want to learn in the class. Students and instructor are happy and excited to be together, training and growing. 4. Cost effective. I am getting more than a deal from WTMA. Master F. is patient with payment and incredibly reasonable. Compared to any other martial arts school, WTMA is the best value for one's money. For so many reasons and more, I love training with WTMA. I look forward to class every week and am excited by what I am learning. Learning taekwondo is not simply for the dojo, but for all of my life. We originally placed our daughter in Taekwondo through our Community Ed & Rec because when our daughter was 7 years old she was being bullied by a boy her age that said “girls were stupid”. So, we thought that Taekwondo would be a good way to give her confidence, boost her self-esteem, and give her a way to deal with peer bullies. There was only 2 other girls in the WTMA classes in when she started. She has grown tremendously and has done wonders for her self-confidence and self-esteem. She does a great job and helping others with their forms and their skill sets, and as her parents we feel she receives a great sense of accomplishment and knowledge in return from her instructors and other students. We know that WTMA instructors are the reason she is successful! Sondra said she has learned so much from [Pine Tree Taekwondo] and her instructors. It is a place I have learned a way of life and respect for others, which I use in everything from competing in different sports (Swimming and Golf) to the classroom and with my own friends. As a result of my Taekwondo training in [Pine Tree Taekwondo], I have a different network of friends and a way and place for me to relax and blow-off steam. 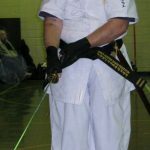 Over my years at [Pine Tree Taekwondo], I have had friends who have been in other Taekwondo schools (Park Institute, ATA or Karate school), they don’t seem to value their training as much as I have; many of them don’t remember their forms. They were only involved in their school for a short period of time and have quit and have not returned or even talk about returning. It has made me glad that I have stayed with [Pine Tree Taekwondo] and thankful that they recognize that I am involved in other things in my life; and encourage me to continue my training as a way of life, and not some passing whim. Martial Arts has been an awesome bonding experience for my entire family! It is something we can all participate in together despite our ages ranging from 9 years old to, well, much older than 9! It keeps all of us active and healthy and gives us something to keep our family interacting with each other rather than various electronics. Training at White Tiger Martial Arts can change your life and your family's for the better! 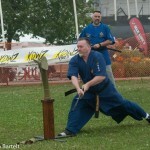 I have trained with Master Frankovich as a student since 2004 in Haidong Gumdo . I was a late bloomer when I started in his school having done TKF, Kung Fu and other MMA prior to this. But the sword art offers a well rounded program for children to grandparents and really no prior martial arts is needed to feel that you doing something that makes you feel great and really is awesome to behold. I had three knee replacements and never stopped training because the training made recovery go smoother. In 2011 I decided to join the Masters program under Master Frankovich so I could offer Gumdo in another part of town and share all the fun with others. Students are the happiest when they have a sword in their hand.You can tell with my long attendance record that Master F. had to be a pretty good instructor with a pretty darn good school. It helps keep me young feeling. Doing Gumdo with Master Frankovich is a real pleasure and a challenging school. I have been in martial arts since June 9, 1974 (5th degree Tae Kwon Do) but my body can not do tae kwon do but it can do Gumdo. It helps keep me young feeling. It's difficult to explain in words what sets this school apart from so many out there. If I had to pinpoint it, it might be because the goal has never been to "stand out," in the traditional way. The focus of this school has always been on the training, not looking flashy. You will not find us practicing in a new building with shiny wood floors and mirrors, nor will you find anyone trying to advance as quickly as possible to the next rank, nor will you see us competing for trophies solely using stylistic tricks in forms. By joining our Gumdo school, you will join a group of people who have a desire and need to train, and be instructed by a Master who is so passionate for this philosophy, that he will do whatever it takes to make sure you have this opportunity. You will learn this art by practicing the same basic moves over and over again, each day seeing the same cut or stance in a new light. You will be asked to instruct newer students, and in teaching, learn how little you actually know. Additionally, you will find that practicing the sword opens you up to opportunities of personal reflection, in which you will realize that the skills you develop in Gumdo translate to all areas of life. I strongly recommend this school and instructor over any other! 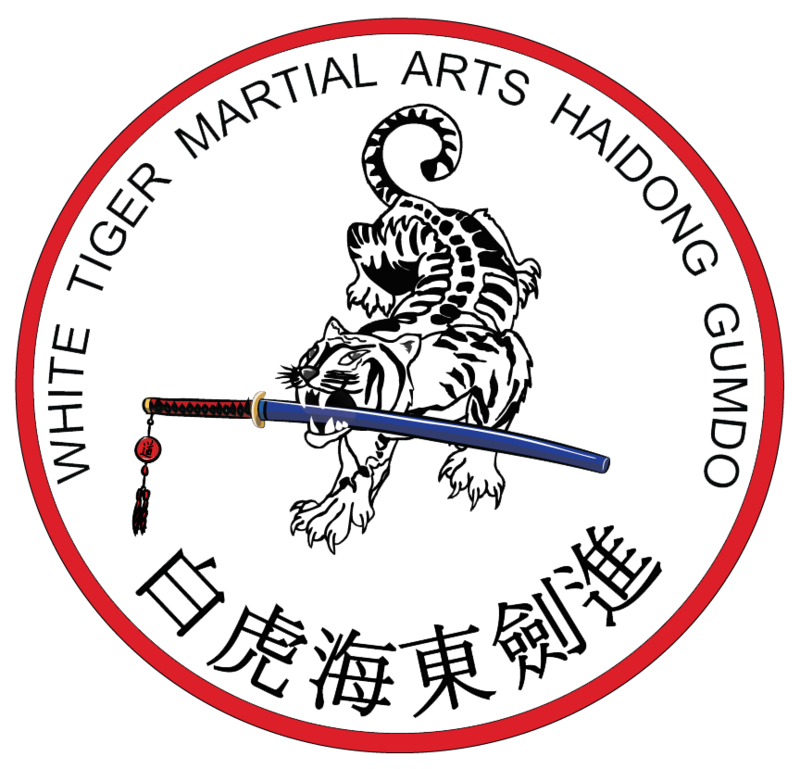 My daughter and I have been studying Haidong Gumdo at WTMA for a year and a half. 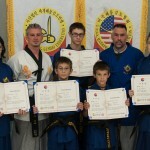 This is the place to learn great technique and challenge yourself as a person and as a student of martial arts. Class is a good workout and fun with a focus on continuous improvement and always doing your best. Proper technique is stressed but personal growth is also an important part of training. WTMA provides a world class martial arts education in MN. 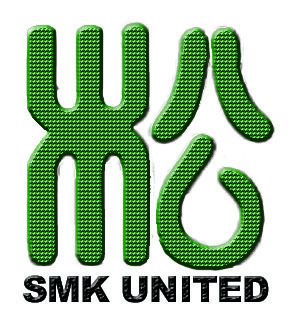 I highly recommend this school to anyone serious about the martial arts. A meditation on Bosses and Teachers, and Leaders in general. I’ve had many through the years. You have leaders that demand excellence, leaders that are supportive. There are leaders want the best for the business, for themselves, for their bosses; there are leaders that want the best for you. There are leaders that treat you like assets, there are leaders that treat you like people. One of the finest teachers I have ever had is Master Robert Frankovitch of White Tiger Martial Arts. He simultaneously expects excellence and supports and encourages you. He works us hard while demonstrating that it’s fun. He’s sacrificed a lot to make the Dojang a quality place for as many people as possible.